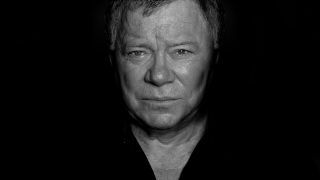 Star Trek icon William Shatner has teamed up with a range of rock musicians for his first-ever festive release. Titled Shatner Claus: The Christmas Album, it will land on October 26 via Cleopatra Records and boasts a galaxy of stars to give the record a harder edge. He’ll be joined on the album, which features reimaginings of 14 festive favourites, by artists including Iggy Pop, Todd Rundgren, Billy Gibbons, Ian Anderson, Rick Wakeman, Brad Paisley, Judy Collins, Mel Collins, Artimus Pyle, Joe Louis Walker, Elliot Easton and Dani Bander. And to mark the announcement, Shatner has released a stream of his version of Jingle Bells featuring none other than Henry Rollins. Listen to it below. Shatner Claus: The Christmas Album is said to cover genres including jazz, blues, rockabilly, bossa nova and rock’n’roll, with both Gibbons and Rundgren delivering guitar solos.